Have you been thinking about hiring a third party manufacturing company to assist you with the design or assembly of your electronics? If so, it is very important that you understand what to look for in a quality and long-lasting business partnership. But with so many options, how can you even know where to begin? In order to help you narrow down your options and make the best decision for your operation, here's a look at the four types of electronic contract manufacturers that you should be looking to hire. Technology is continuously evolving, and as it does, it is shrinking. Consumers today are demanding electronic devices that, while more complex and functional, are also extremely lightweight and compact. 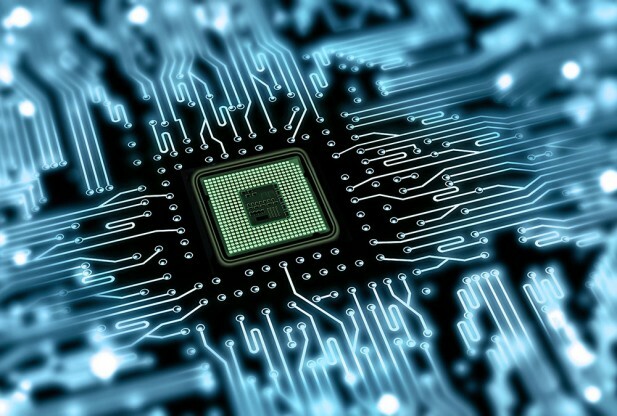 In order for these systems to operate properly and efficiently, printed circuit boards (PCBs) must also become smaller, while being able to support increasingly complicated electrical connections and components. Designing and assembling these tiny PCBs can be challenging, time-consuming, and very costly to electronics operations with finite resources. In order for you to fulfill customer orders, stay competitive, and grow your business, you may want to consider working with professional electronic contract manufacturers. Skilled and capable outsource partners can hep you to overcome and obstacles that your team is meeting and can provide high-tech machinery that will ensure faster, more precise PCB assembly. If your business is struggling with systems assembly, electronic contract manufacturers may be able to help. By choosing an experienced business partner that is familiar with all of the demands of system assembly, you can be the recipient of customized solutions that will help to manage your supply chain requirements. Regardless of what level of assistance you require, you can find relief and higher levels of success with the right contract manufacturer. Truly reputable third party companies will be capable of helping you with configure/build to order design schematics, assembly at the chassis, cage, or rack levels, custom cabling, board and system testing, and documentation management so that you can operate more efficiently. There are many electronic contract manufacturers that only offer assembly services. Although this can help you to improve the speed of actually producing a fully designed product, it will not help you to improve the efficiency of your electronics. A design and build service may be able to pinpoint areas of your basic schematics that could be improved, thus saving you money on parts, or enabling you to create products that are easier for end-users to manipulate or that function more smoothly. Throughout the assembly and manufacturing process, your partner will be testing your products for operability and for problem areas that could be fixed. In this way, your business and your products will always be getting better. At first glance, the electronic contract manufacturers that work offshore may seem like the more economical choice for a business partnership, but you should keep in mind that you get what you pay for. Although many foreign companies offer cheaper services, they also tend to cut corners and use bootlegged parts and system components during product assembly. And because cheap, unskilled labor is utilized throughout production, your devices may end up falling short of the expectations of yourself and your customers. To avoid these problems, it is in your best interest to work with American based companies that follow national manufacturing and assembly standards, and that utilize only high quality parts. The right electronic contract manufacturers can be a tremendous asset to your business. By looking for these four types of manufacturers, you will enjoy more efficient daily operations, and will be able to provide better products to your customers. There are many electronic contract manufacturers that only offer assembly services. Although this can help you to improve the speed of actually producing a fully designed product, it will not help you to improve the efficiency of your electronics. Despite the fact that your designers and engineers may be skilled at what they do, a fresh pair of eyes can always be of benefit to your business. Your third party design and build service may be able to pinpoint areas of your basic schematics that could be improved, thus saving you money on parts, or enabling you to create products that are easier for end-users to manipulate or that function more smoothly. Throughout the assembly and manufacturing process, your partner will be testing your products for operability and for problem areas that could be fixed. In this way, your business and your products will always be getting better.